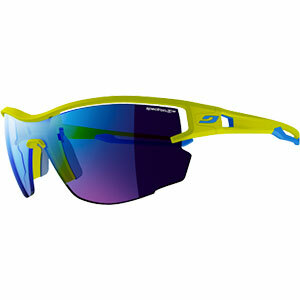 The Vogel 2.0 Sunglasses offer both a sleek design and technical features to enhance your performance. 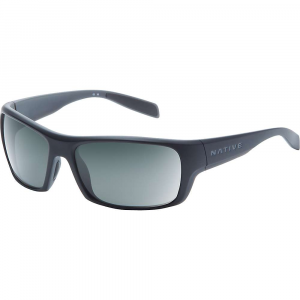 A Grilamid TR-90 frame offers ultimate bending strength, low weight, and high resistance to chemical and UV damage, while the lens provides awesome UV protection and optical clarity. . . . Tough and durable Grilamid TR-90 frame. . 100% UV protection. . Adjustable ear and nose pads. . lightweight. .
CLOSEOUTS . Tifosi Vogel sunglasses are impressively light, thanks to a frameless, single-lens design that shaves grams off the overall weight. Single-lens design skips the frame, and the extra weight Includes ballistic storage case Lenses: Non-polarized 100% UV protection Material: Polycarbonate 70mm width Frame: Non-slip, adjustable nose pads Non-slip rubber temple grips Material: Grilamid(R) TR-90 5" temple to temple Made in Taiwan Visit our Sunglasses Buying Guide Available Colors: LASER SILVER/GT, PEARL WHITE/SMOKE GRADIENT. 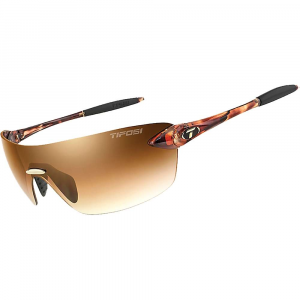 For a sleek look you can wear during your outdoor activities, try the Tifosi Vogel Sunglasses and never go unprotected again. 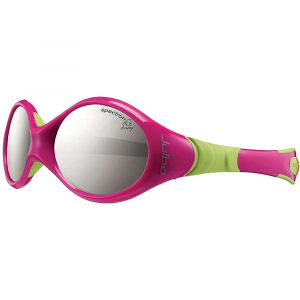 These sunglasses are a great fit for the ladies because they have style and performance. The rimless, lightweight and durable design has Hydrophilic rubber ear and nose pieces for a no-slip fit, even if you work up a sweat, while the Glare Guard reflective lens coating helps reduce eye fatigue if youre hanging in the sun all day long. With an understated design and uninterrupted vision, the Tifosi Fototec Vogel sunglasses automatically adjust tint so you can keep performing without interruption. Fototec(TM) lenses automatically adjust tint according to light conditions; lenses darken in bright light and lighten when there's less light. Lightweight and virtually shatterproof, polycarbonate lenses are 20 times more impact resistant than glass and one-third the weight. Grilamid(R) TR90 lightweight nylon frames offer a consistent fit and flexibility in all temperatures and are extremely impact resistant. Hydrophilic rubber nosepiece and temple ends become tackier when wet for reliable grip during exercise and hot weather. Fits small to large faces. Includes a protective case and a microfiber cleaning bag.